Today, we’re sharing with you an excerpt from our “She Knows Everybody!” section with Linda Descano from Citi Group’s Women & Co.
Get in a “networking state of mind.” If you walk into a room full of people and you know you’re uncomfortable, everyone else does to. You have to radiate the kind of energy you need to be present and purposeful. The best way to do that is to see a purpose for every interaction or event. If you’re headed to a huge networking event, be strategic and set your goals for quality, not quantity. Perhaps one evening you say to yourself, “Tonight, I’m going to find three people who work in content marketing, social media, or public relations.” Ask for introductions to those people, seek them out, and create relationships. Not all networking is created equal. You have to weigh opportunities that will help you connect with the right people, not just people in general. Research and ask yourself what the caliber is of the people involved with the organization or group. Linda says she’s a “big fan of networking opportunities where you can learnsomething as well!” Seek out events where professional development is involved, where you can then meet interesting people. But go with a clear idea of what you’re going to get out of that specific opportunity. Put yourself second. Linda told me, “When I started out networking, I thought it was all about me. I learned quickly it’s really about what you can do to help someone else. Put yourself second. Be open to meeting people and developing a relationship where you can bring your network with you to help advance someone else.” Think through the kinds of introductions you can make for people, insights you can offer, articles you can share, and other value adds you bring to the table. Putting the focus on giving instead of getting will get you far! Practice random acts of networking kindness. To build a You Know Everybody! Network, you must nurture and invest in your network, and that can’t be just when you need something or when you’re interested in someone’s work. To be great at it, you have to be a bit random about it. Linda says she uses LinkedIn to stay in touch and sometimes finds great ways to incorporate her LinkedIn connections into Women & Co. articles and introduces friends randomly to one another. What can you do for a connection today that would put a great big networking smile on her face? If you loved this excerpt of You Know Everybody!, order the book now by clicking here. 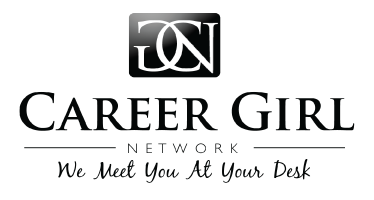 You’ll find much more from Linda Descano and nine other female executives with incredible networking tips.